I’d have to hear them, but I rather like the title, “Hang your hat in Detroit.” Which is odd, ’cause I don’t wear hats. We all know “New York, New York” and “Sweet Home Chicago”, but does Detroit have its own quintessential anthem? 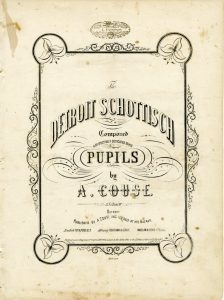 Browsing through the many hundreds of sheet music titles in our online digital collection, you will come across dozens of pieces that have been written about the city through the years. Most were probably published with the hopes of becoming that one song to endure as the city’s calling card. 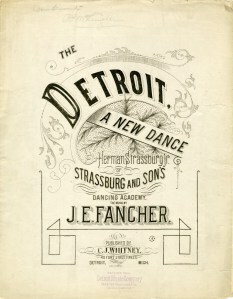 It seems that each generation takes a stab at composing a memorable melody about Detroit, but none have yet to stick. Which of these do you think we should revive? Wherein the poet casts herself in the role of the Gerasene Demoniac.